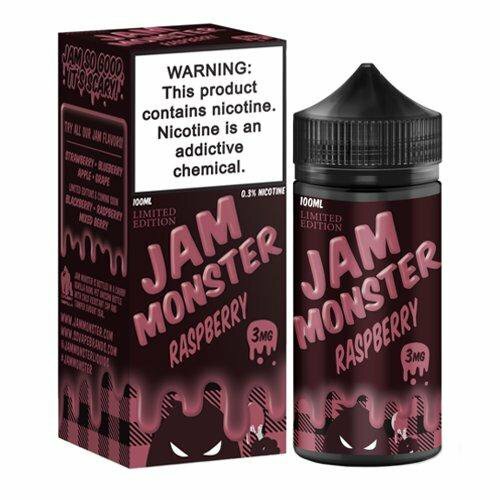 Jam Monster Raspberry gives the vaper a cloud of rich buttery flavor. This premium e-juice is a delicate balance of raspberry jelly spread over a warm piece of buttered toast. The inhale is plump raspberry jelly while the exhale takes on the flavor of butter spread beneath the jam on a piece of warm toast. Big clouds and intense flavor. Definitely checking out the Black Raspberry next.